Did your plastic surgery residency encourage your passion for aesthetics? Board certification through the ABCS gives you an opportunity to further your training in the cosmetic surgery specialty, get hands-on experience performing the most popular procedures, and show your patients that you're dedicated to excellence in cosmetic surgery. Cosmetic surgery and plastic surgery have become synonymous in everyday conversation—but while these two specialties overlap, they are distinct. During plastic surgery residency training, a small percentage of clinical cases are solely cosmetic in nature. A heavy focus on reconstructive procedures rarely affords the plastic surgery resident an ability to fully immerse in cosmetic surgery principles and techniques. Post-residency fellowship programs offer the best avenue for comprehensive, in-depth cosmetic surgery training. 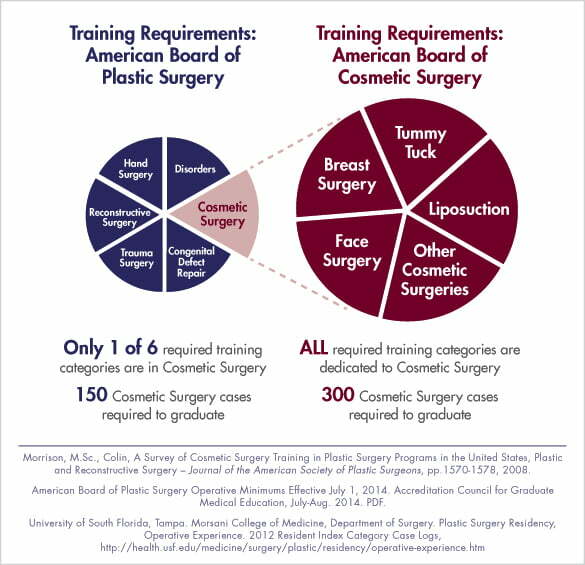 Plastic surgeons can address this gap by pursuing additional board certification by American Board of Cosmetic Surgery. Our diplomates complete a 12-month, full-time fellowship in all aspects of cosmetic surgery, pass rigorous examinations, and uphold the highest standards in patient safety, facility accreditation, and professional ethics. Achieving the highest level of training and certification available in both cosmetic surgery and plastic surgery puts you in a rare, elite class of aesthetic specialists—a mark of distinction that patients notice. The ABCS accepts only those who have completed the most extensive, in-depth, and focused cosmetic surgery training programs in addition to having already completed residency training and board certification in a related specialty. Earning your board certification is an accomplishment that demonstrates your commitment to patient safety and cosmetic surgery. In studies conducted by the American Society for Aesthetic Plastic Surgery over the past decade, a significant percentage of plastic surgery residents felt they could benefit from additional cosmetic surgery training. Results from the latest survey, conducted in 2017, report that just 31.5% of residents who planned to focus on cosmetic surgery felt they were fully prepared to integrate cosmetic procedures into their practice. While progress has been made in recent years to increase cosmetic training opportunities for plastic surgery residents, the current funding structure for ACGME residencies excludes cosmetic cases, making it unlikely that plastic surgery residencies will ever offer comprehensive cosmetic surgery training. Since 1979, the American Board of Cosmetic Surgery has set standards for training, professionalism, safety, and ethics in the cosmetic surgery specialty. It remains the only board that requires its diplomates to complete full-time cosmetic surgery fellowship training, pass rigorous oral and written examinations demonstrating their readiness to practice in all aspects of cosmetic surgery, and uphold the highest standards in safety and ethics—in addition to achieving prior board certification in a related specialty. The ABCS fosters an environment in which diplomates collaborate and continually advance surgical techniques, innovation and standards of care. 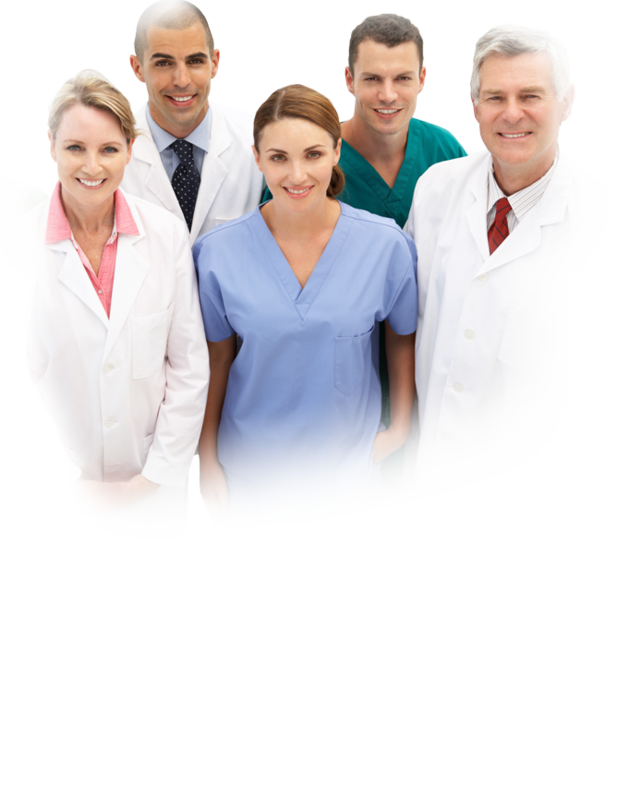 Providing qualified surgeons access to comprehensive fellowship training in all aspects of cosmetic surgery is central to the American Board of Cosmetic Surgery mission. To become an ABCS diplomate, a surgeon must complete a minimum 12-month, full-time cosmetic surgery fellowship certified by the American Academy of Cosmetic Surgery (AACS). During their fellowship year, surgeons receive hands-on training in all aspects of cosmetic surgery for the breast, body and face, including minimally invasive procedures. Fellows work alongside our most experienced board certified cosmetic surgeons in established practices, where they learn about the latest surgical techniques and technologies and participate in day-to-day patient care and practice administration, gaining insight and skills in running a cosmetic surgery practice. Cosmetic treatments and technology have expanded dramatically in recent years, particularly in the area of minimally invasive treatments. By focusing solely on cultivating expertise in the cosmetic surgery specialty, as opposed to treating cosmetic surgery as a peripheral practice, AACS certified fellowships continually evolve to provide training and experience in the full scope and variety of cosmetic treatments, technologies and surgical techniques. If you are a board certified plastic surgeon who has a passion for aesthetics and you want to focus solely on cosmetic surgery, we invite you to contact us today to learn more.